I’m sick. Siiiiiiiiick. And it’s snowy here, so very snowy. I don’t feel like doing much of anything, but I can’t sleep anymore since I just got up from 14 hours of nyquil coma. I call up Wayfare to express my dilemma, and she suggests that I play a video game, which as it turns out is an excellent suggestion. Now I haven’t played StarCraft2 for well over a month now, since I’ve been so busy not writing my thesis. And a real-time strategy game sounds like it would hit the spot… except I don’t want to play SC2 itself right now. I’ve already finished the single-player part of the game, and I’m too dopey and ill-tempered to keep up/put up with the “people” on battle.net. So I start searching for alternatives, and discover that they’ve come out with a 4th installment to the Command & Conquer franchise. Some single-player play with that sounds like it would hit the spot, so I go ahead and download it. For those of you that aren’t familiar with the RTS concept, it is generally composed of three pillars of gameplay: resource collection & management, base building, and unit control/tactics. In the C&C tradition, you send out your harvesters to collect “tiberium” which magically gets transmuted into tanks, which are built at the factories of your base, which you defend with more base structures like walls and turrets, then you venture forth across the map to complete objectives, using strategy of some sort. For C&C4, they decided to throw all that out the window: there are no resources to collect or manage. Just a simple unit cap, which is absurdly low (~6-7 tanks maxes it out), which of course limits the strategic options, taking out the 3rd pillar. As soon as a unit is killed, you can build another to replace it — no resources to manage, so it’s “free”. With such a small force, there’s really no way to split it up and try for different objectives, especially since the computer has you outnumbered all the time. Plus, there’s essentially no base-building either: gone are the factories, barracks, airports, and defense towers. Now everything comes out of one building that you get at the beginning. So the game is basically a dull grind of build your pitiful 6-tank force, go smash it against the first objective, lose 5 tanks in the fighting, replace them, then on to the second objective. The game was so horribly pointless and dull that after the 3rd level I decided I’d rather go work on my thesis. It was not a good week for the diet, as my love of candy and deals conspired with the arrival of half-price Halloween candy. Combined with more than a few all-nighters as I struggle to make timely progress on that thesis thing, and the end result is that I’ve gained back all the weight I lost at fat camp the Turkish conference. The Ontario government just came out with a lucrative scholarship program… for foreign students. At $40k/year, it is a very rich scholarship indeed. For comparison, the next-best provincial scholarship is the OGS program at $15k/year (which foreign students are also eligible for). I’m not opposed to the government trying to recruit foreign students, but I don’t think a program that’s nearly three times as lucrative as what’s out there now should be exclusive to foreign students… why not allow Canadian students at Ontario schools to compete side-by-side, as with the OGS? Don’t we want to recruit the best students period to Ontario universities, no matter whether they’re from Ontario, the rest of Canada, or a foreign nation? Plus there’s always the issue with foreign students that we may be putting out the money to educate them, just to have them take that investment back to their home country when they graduate. A better program for getting talent to Canada may be the other Ontario initiative of late, allowing master’s students to apply for permanent residency without needing a job offer. 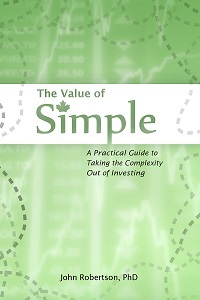 Canadian Capitalist embedded a good lecture about index investing in his latest wrap-up post. One of the minor points made was that index investing doesn’t make for good newspaper or magazine articles, so there’s a whole industry that has an interest in reporting on active management. I have to say it’s the same for bloggers — though I do index a large part of my portfolio, I only ever seem to talk about the stock picking side. The Globe has a short article about Toronto’s condo market. True to form, I will pick out parts, and then proceed to spread fear. “Insiders suggest that, in some areas, investors accounted for up to 60 per cent of sales in those newly launched projects and with about 4,000 new suites coming to market, the impact was indeed profound.” Yowzah, on one hand, that’s a lot of investors. On the other hand, why aren’t the other 40% also investors given the issues with pre-construction? Anyhow, what I found even more alarming: “So what drove investors to […] plunge back into the market? The chief factor […] was price. Believe it or not, the index price for condos actually dropped $14,608 in September from August to stand at $410,730. Bit of smoke and mirrors really. Average price per square foot stayed nearly constant at around $493. The price drop came from builders creating smaller suites – about 831 square feet or 10 per cent smaller than August.” I’m already appalled by how small the new condos around are. Granted, I like my space and my stuff (after all, right now I’m filling a small 2-bedroom apartment all by me onesies), but I don’t think that this is going to go well for people when the units are actually built at some indeterminate point in the future and find out how small 10% smaller than “already too small” is. Plus of course, the implication that even “investors” are getting priced out of the market. 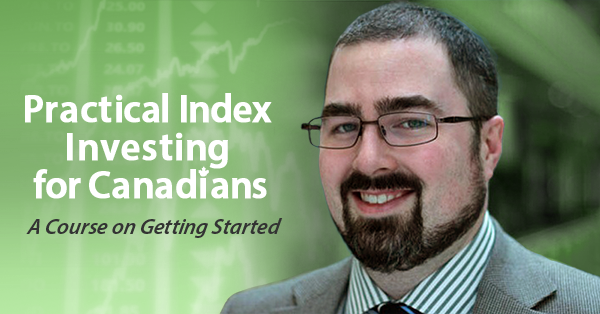 Speaking of being a housing bear, MoneySense has an article on Canada’s housing market online now. It’s 4 pages, because of course putting it all in one or two wouldn’t fit on the internet. As you can probably guess, I agree most with the advice about just simply waiting longer if you don’t already own a home — even most of the bulls don’t think the market’s going to run away from you, so there’s no rush. I agree least with the advice about shorting the banks or home furnishing companies to hedge against a falling market. While I can totally see the logic behind the banks doing poorly if the housing market goes down, it’s a dangerous trade to get into, which kind of goes against the idea of hedging your housing exposure. Even the CREA is now calling for activity and prices to decline next year. All that negativity out of the way for the Canadian side, if you haven’t been paying attention to the foreclosure crisis in the States (and it’s always a “crisis” these days), then you should be. Yes, it’s another example of just how deep into the lake of batshit crazy the US system went — which doesn’t help my recurring theme — but it’s just insane that these companies are basically stealing houses. Foreclosing on houses without mortgages even. Even when a house should be foreclosed on, they’re not engaging in the proper notice procedures, which would give people the chance to defend themselves, or at least move out (there was one case of a locksmith showing up to lock the person being foreclosed on in the house; they didn’t even check if the house was empty before changing the locks!). Barry Ritholtz has been providing good summaries of the stories as they come out, including this one about the process servers lying in their affidavits that testify that they did indeed serve notices to the homeowners. Cases are coming to light where that is demonstrably false, including some where people have visa stamps in their passports that prove they were out of the country when the alleged serving took place. Rogers is getting into the home security field. Interestingly enough, over 2 years ago I was part of a survey that was asking about how to brand and price a Rogers home security offering. I’m surprised that it took so long from that step to the roll-out. The paranoid part of me wonders if maybe it’s somehow deeply flawed. An interesting science article in the Globe today as well about electrical stimulation improving math skills. The MSM article didn’t cite the publication, so here’s the abstract. When I read the Globe’s story, I thought they were talking about a direct electrical stimulation (i.e. : DBS), but it turns out to be a non-invasive transcranial stimulation. I’m surprised a weak, external, DC stimulation does anything at all. I’m going to have to read more on TDCS… some other time. Canadian Dream (free at 45) is having a 1000th post contest, giving away a Kobo e-book reader. Finally, a request of you: please suggest a topic for me to blog on. I feel like I may be getting stale railing against real estate, but at the same time it’s just so easy to do since these articles tend to get under my skin somehow. I’d like to blog more while thesising to keep the fingers moving (and hopefully the other writing muscles to get this thing done), but often feel just as blocked here as when staring at the flashing cursor in Word. Also, if anyone knows of a good easy-to-use captcha plug-in for WordPress 1.5 I’d be happy to try it, as the spam comments have been getting ridiculous lately (200/day and climbing!). I’ve had a chance to play StarCraft 2 a fair bit now, and I’ve gotten used to the changes from the classic Brood Wars. It’s a fun game, no doubt about that, and some of the custom maps really show off the capabilities of the map creator. There are some minor balance tweaks left to come (though I can’t say I’ve found any of the items Blizzard is changing in the 1.1 patch to be an issue — though I do think Zerg need a faster way of getting anti-air units). Army sizes. I liked the (much) smaller armies of WCIII – each unit was somehow precious, and it provided a more balanced focus on micromanagement and macromanagement together. [For the non-gamers, micro is controlling each unit individually, using abilities, etc., while macro is about getting your economy up, pumping out as many units as you can, and getting the unit mix right]. The economic trade-off of getting a larger army. In WCIII if you built up your army above key supply points you’d face penalties to your resource gathering, providing some benefit to keeping a small, nimble force rather than just massing up and trying to steamroll somebody, or at least trying to delay that final build-up as long as possible. In SC2, there’s constantly pressure to keep building up, and no penalty for keeping a large force just sitting around. The Creep (aka mobs) gave people a reason to leave their base. Yes, a large part of the reason was to level up their hero, and I can totally understand that SC2 is a different game with no heroes, so I’m not going to add that to my list, but nonetheless, it was an interesting mechanic to shake things up and get people doing something besides building up for the final armageddon clash. Having forces roaming the map made open-country clashes more likely, rather than having to try to besiege a base. It also made it a little more interesting to pull off a rapid expansion strategy. Non-resource map features to fight over. SC2 has the Xel’Naga towers to provide sight, but beyond that the only focus points on the maps are the resource locations (expansion sites). There aren’t any shops or restoration pools for someone to take an interest in holding or visiting. Scroll of town portal. I bolded this one because I almost exclusively play team games, and in WCIII the ability to teleport to your ally’s aid was critical when they were attacked. In SC2, there is no such ability, so on maps where allies are separated, it becomes very very difficult to be the defender. Some ability like this is what I miss most in SC2. Two (or more) players can almost always gang up on one, making early(ish) rushes a dominant strategy in team maps where the players are separated. In single-player games its really a non-issue, but hey, I’m not playing single-player much. Penny Arcade drew attention to the fighting words of one game developer, who will explicitly not support used games from joining in multiplayer mode. Myself, I’m more than a little torn on the issue. On the one hand, I naturally rebel against a company trying to lock down content that I’m going to pay for (not that that’s a concern with this specific case of a wrestling game). Being able to own something and resell it has been a long-standing property right, whether it’s a car, air conditioner*, book, or video game. Who is this greedy corporation to arbitrarily decide to degrade the product/service you paid for, just because you sold it on to someone else? Indeed, if it wasn’t for Blizzard making StarCraft2 impossible to transfer to a new account, my SC2 woes would have been solved in a trivial way. Heck, even if you twist it so that instead of “buying” a game, you “license” or “lease” one, in the real world even licensees and leasees can often assign or sublet. On the other hand, I do want to support the ability of people to come together to trade money for stuff in ways that work for them. And digital delivery is going to may require a different playbook than we’re familiar with from physical media. Where I get caught up though, is when companies try to charge the same for less. If I can ordinarily share my games with friends when I’m done with them, or sell them used for $10, then this crippled version of the game should cost less up front because it is in fact an inferior product. Likewise with ebooks: there’s no reason in my mind for them to cost nearly as much as a paperback, and that’s from my point of view of receiving value, not even taking into account their lowered distribution/publishing costs side of things. So when these companies say that they don’t care about used buyers because they don’t (directly) see any of the money from the used transaction, I have to step up and say that they did get money from the used buyer, and they got it up front: the first buyer paid $50 for their own use of the game, and another $10 that they hope to get from the used buyer down the road. * – incidentally, I’m still trying to sell my wall/slot air conditioner. If you’re London and want a used air conditioner for a wall slot (typically found in highrise apartments) send me an email! Another bad week for exercising, but the diet was at least a bit better. In fact, FICO scores are not the best predictor. The amount of equity a person has in his home, his debt-to-income ratio, his job stability and his cash reserves are all better predictors than credit scores, according to Dave Zitting, the chief executive of Primary Residential Mortgage, a leading mortgage lender. Now from what I’ve read I don’t know if I’d say the amount of debt-to-equity is a better predictor, but it’s certainly up there. This just reinforces my earlier point that the line “Canada doesn’t have a subprime mortgage problem” is glossing over the prevalence of CMHC-supported low/no downpayment loans, which while not quite as risky as a pack of NINJA negative-amortization loans, are still much riskier than the “conservative” banking culture played up in the media. Aside from seeing another source to use to trot out my ongoing argument, the article isn’t all that good. It belabours the point that lending criteria use hard cut-offs sometimes (like here with FICO scores) where the difference between just over and just under the line are too small to be meaningful. Unfortunately, life is full of such arbitrary cut-offs: for instance, if you have $499 in your account but write a cheque for $500, it’s bounced all the same as if you had nothing in the account. These cut-offs can help protect the larger system (e.g., the bank) from bad risks from decisions made throughout the organization. Though the article didn’t mention it, there is one solution to the issue: make the cut-offs continuous rather than binary. Rather than someone with a credit score of 620 getting a loan and someone with 619 getting nothing, scale it in so that someone with a 650 could get a full loan right up to their debt service level of say 32%, while someone with a 620 could only get 20-some percent, and scale it down to zero over a wider range… But that’s nitpicking the point. Rogers has tightened up their download limits again, just days after Netflix announced it was coming to Canada. Whispers of market manipulation to shut out a competitor to their own video-on-demand service arise. An older article from the CBC goes over some of the basics of download limits, and some of the anti-competitive issues. As you all well know, I think the companies are BSing us here — first off, their “average user’s usage” figure hasn’t moved in years, despite the prevalence of things like streaming video in the last few years. I think it’s probably way out of date now, likely a factor of 10 too low. the company says the caps were necessary because between five to seven per cent of its customers were using more than 80 per cent of its bandwidth, thus slowing service down for everyone. This is an argument trumped out often in favour of caps or limits, but what does it really mean? Years ago, during the first round of ISPs cracking down on heavy users, these sorts of arguments were used to cut “abusers” off… but this sort of relationship is just a feature of how humans distribute resources. It’s the Pareto principle. Plus of course, data transfer is very cheap, on the order of cents per GB, yet the overage charges are $2/GB. Even with a healthy extra put in there to act as a disincentive, this is clearly a massively profitable area for ISPs, way beyond the costs of data transfer or economic disincentive. The real issue they often complain about with their networks is peak usage, i.e. time-of-use (especially Rogers’ architecture). Yet they’ve taken no steps towards time-of-use billing, even though that would make more sense. Blessed by the Potato is proudly powered by WordPress ♦ Entries (RSS) and Comments (RSS). ♦ 26 queries. 0.387 seconds.